The participants of Hearing II included: a) several migrant workers employed in the two sectors we analysed as case studies, namely the hospitality industry of the so-called “Riviera Romagnola” and the logistics warehouses in the city of Padua; b) the under-secretary of Economics and Financial Affairs, Pierpaolo Baretta; and c) the local unit of the project LABCIT that is composed of four people: Professor Devi Sacchetto, Francesca Alice Vianello, Carlotta Benvegnù and Francesco Iannuzzi. In addition, several stakeholders active in the aforementioned sectors of the labour market also participated, including: a labour inspector, a social activist, a representative of the Association “Rumori Sinistri”, numerous trade unionists of different trade unions, a labour lawyer, a representative of the instrumental agency for employment of the Veneto Region “Veneto Lavoro”, and a journalist particularly interested in labour issues. Finally, six international experts on EU citizenship and intra-EU labour migration also attended the hearing, including Gabriella Alberti (University of Leeds), Marek Canek (Multicultural Centre Prague), Simina Guga (Asociatia CONECT), Bettina Haidinger (FORBA), Nathan Lillie (University of Jyväskylä), Nelli Kambouri (Panteion University). The debated in Hearing II were very intensive and productive. All the persons invited had the opportunity to speak about cases of labour rights violations and exploitation in the hospitality industry and warehouses, identifying the structural causes and possible solutions in order to improve workers’ labour conditions. The most important questions that emerged from the discussion where: the coexistence of formal and informal work in the hospitality industry; the numerous problems related to the system of subcontracting to cooperatives in the warehouses sector; the widespread practice of disregarding the national contract in both sectors; the difficulty of access to justice and the absence of institutional support; and the importance of the active presence of trade unions or other advocacy organizations to support migrant workers in demanding their rights. In order to solve these problems the most shared recommendations were: the enhancement of trade unions interventions and presence in both sectors; the improvement of cooperation among public institutions, trade unions and advocacy organizations; and the limiting of subcontracting in particular to cooperatives. The hearing concluded with the intervention of the Under-secretary of Economics and Financial Affairs, Pierpaolo Baretta, who stressed that the Government is aware about the problems connected to the widespread informality in labour relations and to the system of subcontracting and that it is working to intervene in these issues. An expert roundtable and the public debate took place after the hearing. 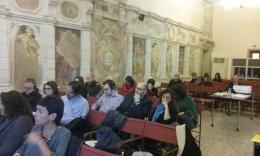 The participation in the event was notable – around 40 people – since in addition to those who were present at the hearing, there were undergraduate and PhD students, researchers, professors and professionals. 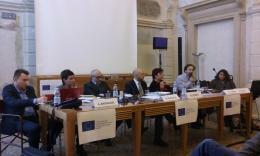 The invited international experts presented different cases of labour rights violations in their countries of origin. 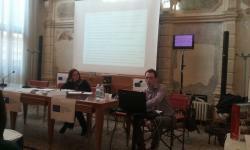 First, Carlotta Benvegnù and Francesco Iannuzzi presented the report of the preparatory activities conducted by the University of Padua with 2 groups of migrants who work in the hospitality industry and in warehouses. Second, Marek Canek and Simina Guga reported on the results of the hearings conducted in the Czech Republic and Romania within the LABCIT project. Third, Gabriella Alberti talked about her research on the temp migrants in the London hospitality industry. Fourth, Bettina Haidinger presented a study titled "Migrant Workers in Precarious Employment: Do the Austrian Unions Support?" which focused on the relationship between trade unions and migrant and precarious workers. Fifth, Nelli Kambouri analysed some transformations that are taking place in the Greek logistics sector, in particular for what concerns the process of port of Piraeus privatization. Finally, Nathan Lillie presented a contribution titled "Industrial Citizenship, Cosmopolitanism and European Integration" focused on the implications of citizenship transformations on workers’ rights. The discussion in the roundtable highlighted how many of the case studies in different countries and different economic sectors have strong analogies. The researchers described a certain homogenization of production structures that are increasingly characterized by forms of outsourcing and intermediation of workforce. At the same time the forms of severe labour exploitation in Europe have often strong similarities although the composition of workforce can be different. A crucial element pointed out during the day is that in spite of the severe forms of labour exploitation, European workers sometimes are able to build forms of active citizenship. The development in the sending countries of forms of agency and awareness seems in this sense a decisive element for migrant workers’ capacity to access to and deal with public institutions in the host countries. Finally, an internal project meeting with the invited international experts took place the day after the hearing in order to assess the project’s progress and discuss its future impact and steps.